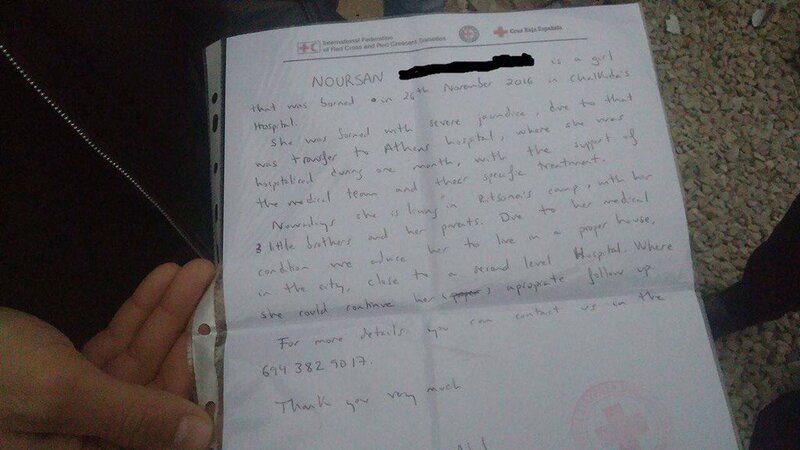 4 refugees died in only 5 days in state run Greek refugee camps. EU governments want to start deporting refugees who arrive after March 1 back to Greece, although the situation in Greece didn’t improve for many people. We are in Thessaloniki, Greece at the moment to support and work with refugees. Tomorrow we will travel to Serbia to continue our work with refugees there. 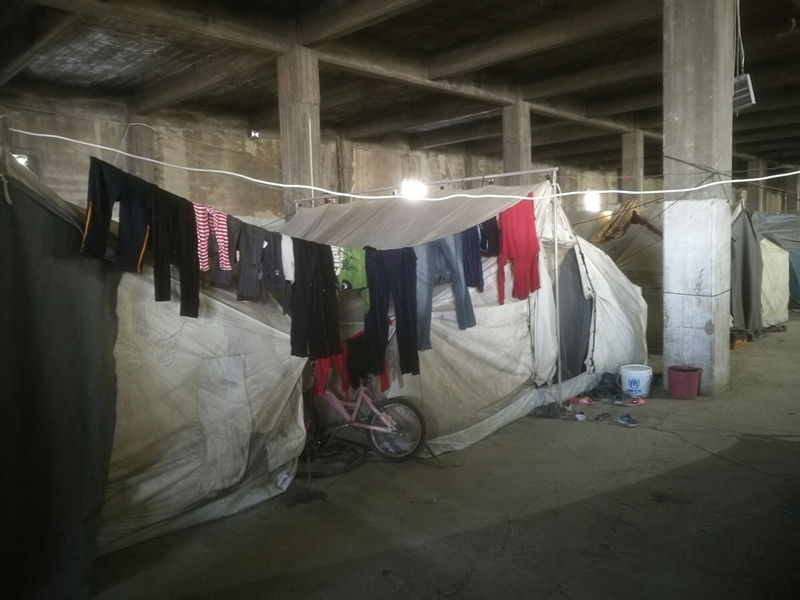 Image: The Softex refugee camp in Thessaloniki this morning. History may never repeat itself 1:1, but the first days of the Trump regime are beyond worrying. Donald Trump has ordered his new administration to publish a weekly list of crimes committed by immigrants. The Trump (read Bannon) order is also reminiscent of Nazi Germany. In the 1930’s the German Nazi regime published similar lists of Jewish people in Germany to fuel anti-semitism in Germany. 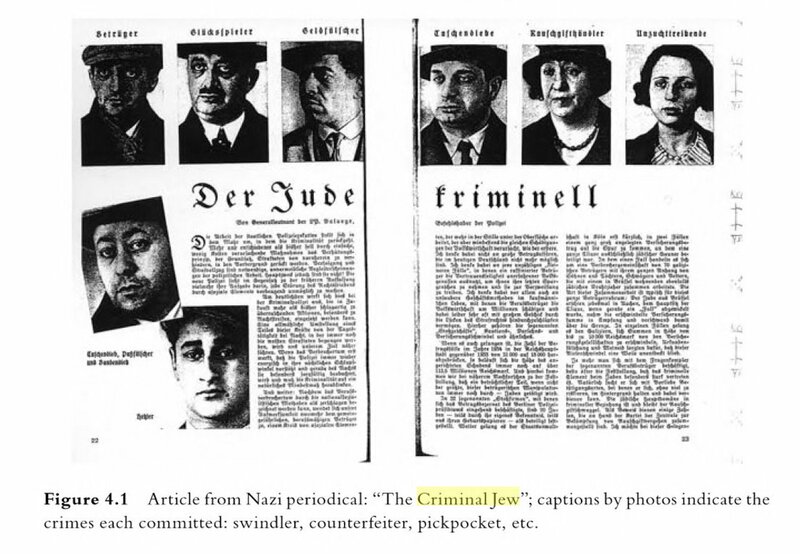 Image: Article in Nazi Germany fueling anti-semitism in the 1930’s. #Seattle #Milo Shooting: Shooter of unarmed anti-racist walks free; Authorities silent. 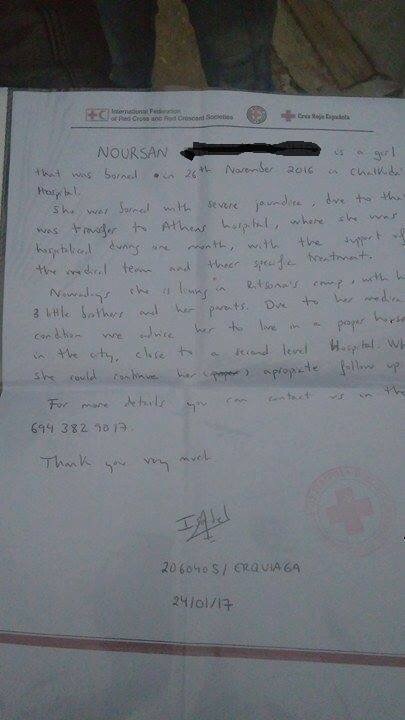 Victim still in Harborview Hospital; Shooter is well-known right wing gun activist. Social media activists claim to have identified the person who shot an anti-racist organizer on the University of Washington’s Seattle (UW-Seattle) campus on Friday, January 20, 2017, as a well-known right-wing gun activist attending white nationalist Milo Yiannopoulos’ event with his wife, also a gun activist. 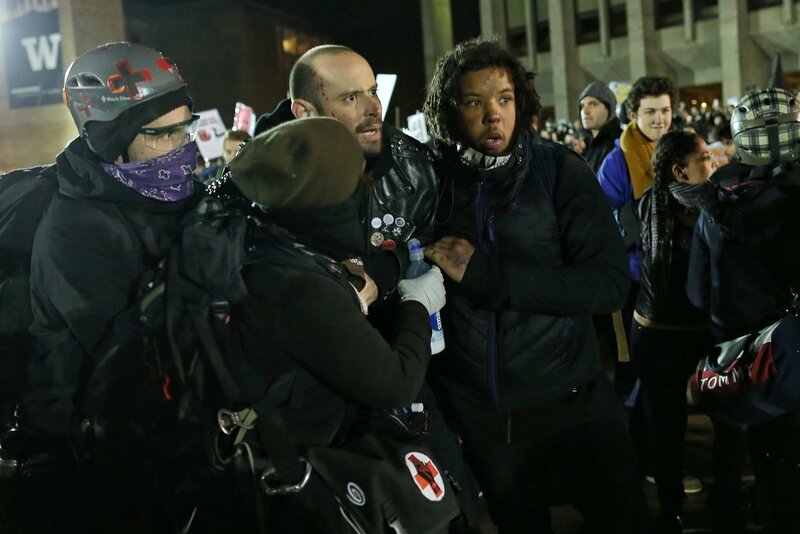 Although the shooter shot a person in a protest situation, University of Washington Police have refused to make an arrest, and released the shooter and the person who accompanied them to turn themselves into the police early Saturday morning. King County prosecutor Dan Satterberg has not indicated any plan to pursue prosecution. Local politicians have remained ominously quiet. Continue reading #Seattle #Milo Shooting: Shooter of unarmed anti-racist walks free; Authorities silent. 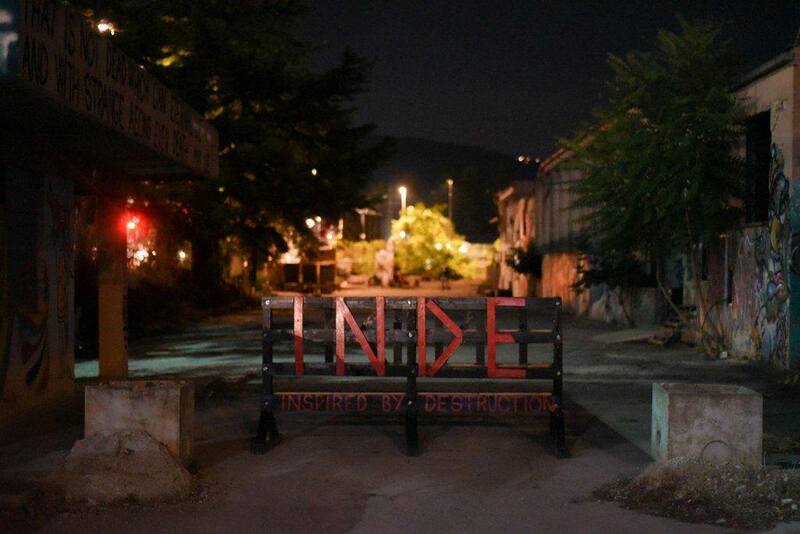 #Squat: Autonomous spaces in #Slovenia under attack, support the struggle! Continue reading #Squat: Autonomous spaces in #Slovenia under attack, support the struggle! 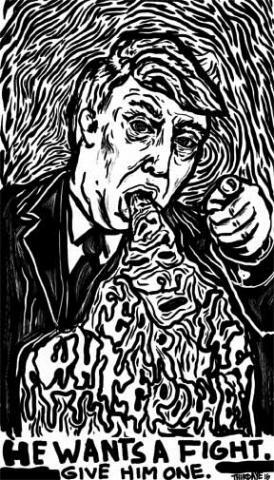 #Antifa #Disrupt2017 – Confronting Fascism: Documents for a Militant Movement. In times where fascism is on the rise around the globe its about time to spread discussion documents about how to fight against fascism. 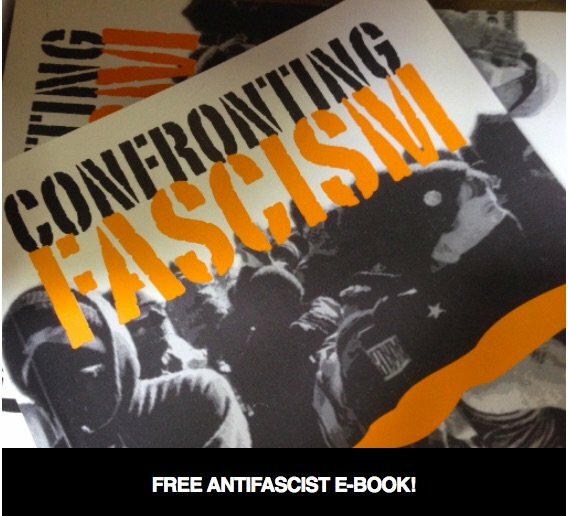 Free online edition of Confronting Fascism: Documents for a Militant Movement. 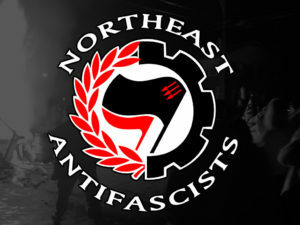 Continue reading #Antifa #Disrupt2017 – Confronting Fascism: Documents for a Militant Movement. 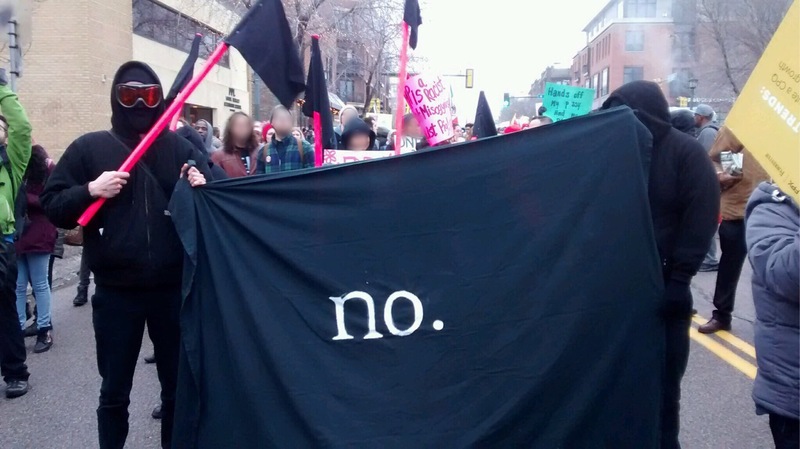 On January 20th in downtown Minneapolis, a group broke away from the larger, passive demonstration called in protest Donald Trump’s inauguration. This breakaway action was not simply remarkable because it shot off fireworks or blocked the light-rail. Nor because dumpsters were moved into traffic or because paint was tossed at the juvie. These actions and others are welcome, and one can assume they produced great joy in those who carried them out. However, come morning, the paint will have been scrubbed off, traffic flowing as normal, and Donald Trump will begin his first full day as President of the United States. On 30 June 2015, anti-fascists in Aachen spontaneously started a demonstration against racism and police brutality following the death of a person in The Hague through abuse by local police. After a demonstration throughout the city centre, the activists gathered at the market place, distributed flyers and erected a banner. Within minutes, the appearance of a mobile patrol unit as well as two plainclothes officers led to an escalation of the previously peaceful situation. With heavy use of baton and pepper spray, they attempted to restrain the activists. The attack left many among the demonstrators injured and the plainclothes officers were hurt by their colleagues’ use of pepper spray. Afterwards, ten seemingly arbitrary persons were taken into custody.